Bluefish444 have developed IngeSTore as a complementary multi-channel ingest tool, enabling Bluefish444 hardware to capture multiple independent format SDI sources simultaneously. Capture to QuickTime, AVI and DVCPRO50/HD codecs for free. 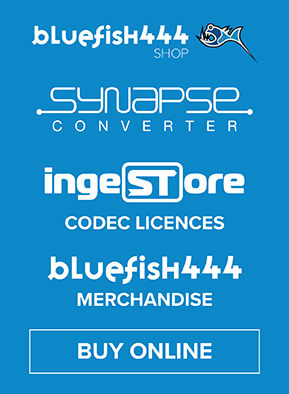 IngeSTore can be used seamlessly in combination with popular NLE software such as Avid Media Composer and Adobe Premiere Pro CC to provide a simultaneous capture and output solution, with compatible Bluefish444 hardware and firmware modes. IngeSTore features software license upgrades to encode uncompressed SDI to other codecs, such as Avid-compliant OP-ATOM DNxHD 8-bit media. 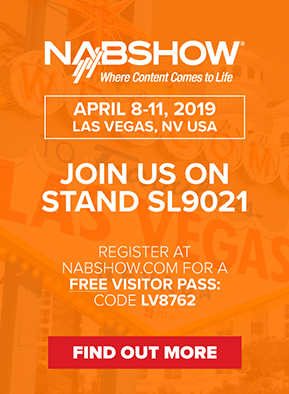 IngeSTore can write directly to local or shared storage, including Avid shared storage, allowing systems to access media directly from the Avid Media Database. The BlueCodecPack licence includes DNxHD, ProRes, H.264, Sony XDCAM, and AVC-Intra 100 codecs, with JPEG 2000 also available as an optional addition to BlueCodecPack. 4 simultaneous and independent streams allows capture of multiple inputs from a range of SDI sources. Simultaneous IngeSTore recording and NLE operation when one or more SDIs are available. 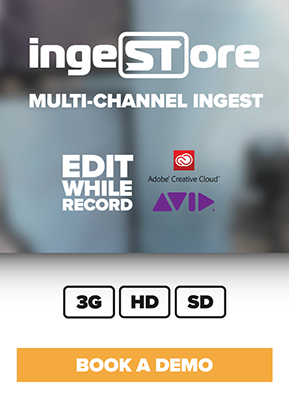 Avid Shared Storage with ingeSTore allows systems to access the media directly from the Avid media database. 3 record modes ensure that no matter what your capture workflow, you’ll be able to do so in the easiest way possible. The available record modes are crash record, timecode in/out, and timecode auto. Edit-While-Record means that you can start editing your footage in popular NLEs such as Adobe Premiere CC or Avid Media Composer, while your file is still being captured into a growing file*. Find out more about Edit-While-Record. The Bundled RS-422 controller software can be used to start, stop, fast forward and rewind RS-422 devices in tandem with IngeStore. RestFUL API support for remote control functionality of the IngeSTore capture system via a fully customisable user interface architecture. If you would like to download our IngeSTore software, you can get the installer from our Downloads page. *Edit-While-Record requires the BlueRT plug-in for some formats and codecs.